Pearson-Intel White Paper on Digital Learning Holds Lessons for UAE. Dubai, UAE, 29 April 2014: A new report from two of the world’s most respected learning organisations outlines how personalised, one-to-one learning environments can transform the educational outcomes of students in the Arab world. Dr Michelle Selinger, co-author of the 2014 Intel-Pearson white paper, Realising the Potential of Every Learner: Advancing Toward Personalised One-to-One Learning, has visited the UAE where she has called on educators to embrace the learning opportunities presented by the latest technological innovations. “Educators understand that technology-rich, personalised learning environments allow learners to develop the skills, knowledge and social capabilities necessary to participate in a future global workforce. However, the creation of such learning environments is fraught with challenges – leaving many educators wanting to utilise the latest and most effective digital solutions, but unsure about how or where to start”. · Quality teacher professional development that gives teachers the skills they need to utilise the technology to the benefit of their students. · Planning and project management that ensures resources are allocated in the right place at the time. · Technology choices that are driven by educational requirements, including the need for reliable devices, strong data security and reliable internet access. The report holds significance for the Gulf region, where spending on digital education initiatives is high by international standards. The UAE Government, for example, has committed to providing all kindergarten to year 12 state school learners with tablet devices and digital learning content by 2017 through the Mohammed bin Rashid Smart Learning Programme. Dr Selinger says that it will be largely left to teachers to ensure that this widespread deployment of digital technology in the region leads to an improvement in student outcomes. She says it is therefore of critical importance that teachers are given the training and support needed to create dynamic and engaging digital learning environments. “The important question that we must ask ourselves as policy makers is how do we empower our teachers to move confidently from traditional learning models to innovative learning environments personalised to the needs of each and every student? A successful and well-supported professional development model can help to create teachers who inspire student learning, creativity and innovation. Such a model should also encourage school leaders to understand the implications of personalised learning and ensure the conditions for teachers to be empowered by technology in their teaching are in place. These factors will lie at the heart of successful transformations to digital learning environments both here in the GCC and right around the world”. UAE Ministry of Education successfully holds preliminary round of girls swimming championship of 2nd School Olympics. [UAE, April 27, 2014] – The UAE Ministry of Education successfully will host today (Monday 28 April 2014) the preliminary round of the girls swimming championship for the 2ndSchool Olympics. The event will be held at the RAK Educational Swimming Pool Hall, included the participation of 72 female students from the 9 to 12 year-old range; coming from Dubai, Sharjah, Ajman, Ras Al Khaimah, Fujairah and East Sharjah. The girls swimming championship featured categories like the 25-meter freestyle competitions, 25 meters back and the 4 × 25-meter freestyle. Sumaya Abdullah Harib Al Suwaidi, Director of Ras Al Khaimah Educational District, stressed on the significance of the School Olympics, a program that was implemented across the public school sector last year. She noted that the program is one of the most important initiatives that began with the blessing and the embodiment of the government vision and was made even stronger with the MoE’s support for the project. Meanwhile, the Boys swimming championship will kick off on Tuesday (April 29, 2014) in Dubai Educational Zone and will be hosted by Al Wasl Sports Club. The Boys category will include 25 meters freestyle, 25 meters back and relay 4 × 25 meters. American Curriculum schools in Arab region adapt to new US Science Education Standards. Dubai, UAE, 28 April 2014:Educators from American curriculum schools across the region have gathered in Dubai to learn how new standards governing science education in the US will impact on the learning outcomes of their students. In April 2013, the Next Generation Science Standards (NGSS) were released in all American states, with the goal of providing students with an internationally benchmarked science education. The NGSS have had a profound impact in schools across the United States, which up until the release of the NGSS were governed by science specifications dictated by individual state education ministries. American curriculum schools across the Arab world have been implementing the standards over recent months, a process which has been demanding at times for teachers and principals. The goal of the Dubai event, which was led by developers of the NGSS, was to provide these educators with professional development training designed to maximise the benefits of the NGSS and ensure schools undergo a smooth transition to the new curriculum. The NGSS were designed to not only foster consistency across all American schools, but to ensure the American science curriculum is up-to-date with the most recent innovations and discoveries in the rapidly changing fields of science and technology. The standards were developed after concerns in the US that the science curriculum was failing to keep pace with the demands of a modern, globally-orientated workforce. Effective science education has been linked to America’s ability to foster an educated society and retain a competitive edge across a range of industries. A 2007 Carnegie Foundation Commission report that was an impetus for the reforms concluded that the country’s “capacity to innovate for economic growth and the ability for American workers to thrive in the modern workforce depend on a broad foundation of math and science”. “A first rate science curriculum based on standards that are content rich and supported by excellent pedagogy, assessment and teacher training is critical to a country’s ability to perform competitively in the global market place. Access to a solid science education is necessary for a student who wants to study science at a university level or pursue a career in one of the many industries founded on scientific principles. A great deal of work opportunities in today’s fast-paced economy depend on a superior science education, making it crucial that we support strong science learning in our schools”. Amanda Collins, the Director of Professional Development at Pearson Middle East, believes that providing quality teacher training opportunities is key to making certain the new standards are implemented effectively, and have a positive impact on the learning outcomes of students in American curriculum schools. “Offering professional development to teachers working in American curriculum schools in the Gulf region will help them understand how to take full advantage of the NGSS in their classrooms and give their learners a firm understanding of key scientific principals and theories. The NGSS have been designed so that they are embedded with learning that promotes 21stcentury skills such as communication, critical thinking and team work – employability skills that are necessary for success in any career, regardless of industry or profession. This is why it is important that we give teachers tools to actively engage with the NGSS and provide an outstanding science education to their students”. 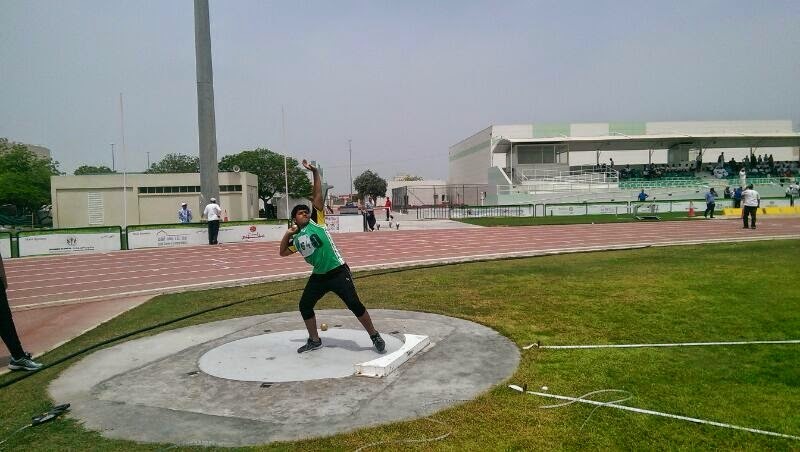 [UAE, April, 22, 2014] – The preliminary competition of the 2nd School Olympics resumed today, (Tuesday, April 22, 2014), with the staging of the Athletics Championship for Boys held after the launching of the Girls Athletics Championship in Sharjah yesterday (April 21, 2014). The School Olympics aims to consolidate the principles of Olympics and sports while promoting the spirit of challenge, excellence, and fair competition amongst UAE students. Today’s event included track and field competitions. Organizers are also all geared up for the artistic gymnastics championship to be held on Wednesday, April 23 2014, in Eastern Sharjah for girls and on Thursday, April 24 2014, in Fujairah for boys. The contenders will compete with each other to demonstrate their strength, flexibility, and speed during the competitions which will cover the performance of chains movements in all devices. Hassan Lootah, Director of Physical Education at the Ministry of Education and Head of the Educational Zones Committee handling the School Olympics, expressed happiness over a big number of students participating in this year’s athletics tournament preliminaries for boys and girls. He said the second edition of the School Olympics aims to attract and encourage promising talents to improve their athletic performance. It also serves as an ideal platform for the UAE to discover great athletes who will represent the country in future international tournaments. The final competitions, which are scheduled to be held in Dubai, will include mandatory games and optional games. Mandatory games include athletic games, artistic gymnastics, and swimming, while optional games cover fencing, archery, and bow and arrow. The School Olympics is considered the first step towards selecting and discovering the willingness and abilities of the best talented students who excel in sports in hopes of encouraging them to play for national sports teams. Second edition of ‘School Olympics’ sends strong message from young generation. [UAE, April 14, 2014] – The first national qualifying rounds of the second edition of the School Olympics start today (Monday, April 14, 2014) and will extend until April 29, 2014. The final phase will be held next month at the Dubai Police Officers Club. Sports competitions for girls aged 13 to 14 are currently being staged at various educational zones as follows: archery at the Ajman Education Zone, shooting at the Al Dhaid Cultural & Sports Club, and fencing at ABN Model School. The School Olympics is considered one of the most important programs launched by the government in support of school activities that enhance the level of physical and technical skills of students. This project builds on the vision of H.H. Sheikh Ahmed bin Mohammed bin Rashid Al Maktoum, Chairman of the National Olympic Committee and Chairman of the Supreme Committee for the Olympic Games, to champion the essence of National Sports – the youth. the country’s flag on the winners’ podiums. principles. The Office also wants to inculcate a love for fair competition, to identify and address challenges, and to promote and support the role of school sports in harnessing the full potential of youths. It is currently drawing greater awareness on the importance of adopting a culture of sports to maintain overall health and fitness. The Team in charge of the Olympics continues to oversee the last phase of the event to ensure that the venues are in order and fully capable of hosting the finals. The deciding matches are opportunities for students from around the country to give their best and deliver excellent performances. “During this event’s second edition we will invest on the discovery of promising and talented young athletes engaged in various school-organized sports,” Lootah concluded. 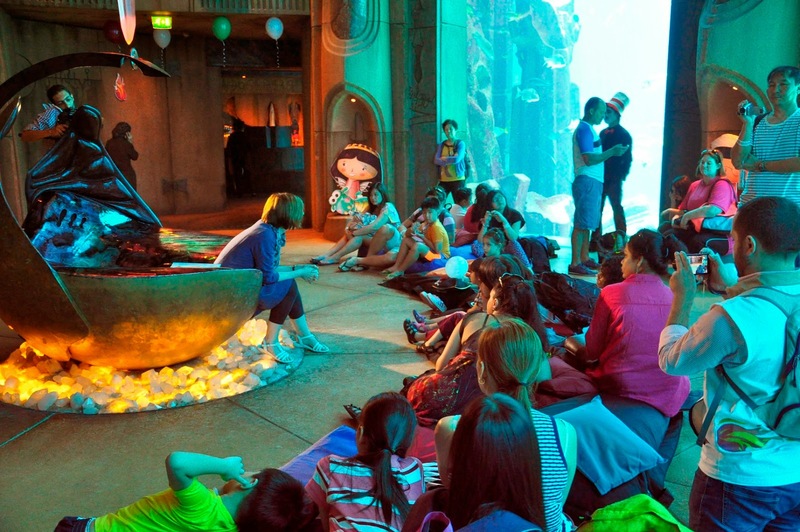 NTERNATIONAL CHILDREN’S BOOK DAY marks ITS SUCCESS AT THE LOST CHAMBERS AQUARIUM – ATLANTIS THE PALM. Dubai, United Arab Emirates, 3 April 2014: In celebration of International Children’s Book day, Atlantis The Palm hosted a fun filled family event on April 2 at The Lost chambers. “Childhood is the ideal time to educate children about environmental issues and to broaden their understanding of the world. Being able to read is imperative in helping broadening these horizons,” says Natasha Christie, Director of The Lost Chambers Aquarium. Few of the world’s top authors were present to recite their stories and interact with the children in various activities like face painting, arts and craft, music and educational Aquatheatre shows. The special guests included- Emirati children’s author Maitha Al Khayyat, SalhaGabish, author of Dana’s Trip, Rashid Al Kous, General Director of Knowledge Without Border and Kathryn Cave, award winning children’s author. Atlantis, The Palm is the first entertainment resort destination in the region and located at the centre of the crescent of The Palm in Dubai. Opened in September 2008, the unique ocean-themed resort features a variety of marine and entertainment attractions, as well as 17 hectares of waterscape amusement at Aquaventure Waterpark, all within a 46 hectare site. It is home to one of the largest open-air marine habitats in the world, with over 65,000 marine animals in lagoons and displays including The Lost Chambers Aquarium, a maze of underwater corridors and passageways providing a journey through ancient Atlantis. Aquaventure features 18 million litres of fresh water used to power thrilling waterslides, a 2.3 kilometre river ride with tidal waves and pools, water rapids and white water chargers. Dolphin Bay, the unparalleled dolphin conservation and education habitat, was created to provide guests a once in a lifetime opportunity to learn more about one of nature’s most graceful mammals. Atlantis, The Palm is also known as theculinary destination in the region with a collection of world-renowned restaurants including Nobu, Ronda Locatelli,La Brasseri and YUAN. The resort boasts an impressive collection of luxury boutiques and shops as well as extensive meeting and convention facilities. Feigenbaum Leadership Excellence Award 2014 conferred on educationist Vandana Gandhi. Bin Rashid Al Maktoum, Crown Prince of Dubai, for her outstanding leadership skills. She has been selected the winner in the “Women Leaders” category amongst many candidates by the International Jury of the “Feigenbaum Leadership Excellence Award (FLEA). The award supports the practice of long term thinking and sustainable performance, placing significant emphasis on quality and encouraging the drive for continuous improvement in the behavioral mindset that builds successions of effective and able leaders at all levels. Vandana has won many prestigious awards, including the 2013 Emirates Women Award and ‘GR8! Women Awards-ME’ 2014. Gandhi is the first Indian lady who wins this prestigious national award and the first one winning in the educational sector of ME. Ms Gandhi said “ I feel honored and humbled to have been recognized by the international and national jury as FLEA is great leadership award, coveted by many in the Middle East and Worldwide. My team at British Orchard Nurseries and I place great importance towards Quality childcare and Total Quality Management. I thank the UAE government for the unflinching support it offers in raising the quality bar. Each recognition I have received motivates me further to research and work hard for the children’s community of UAE which I am so passionate about. More importantly, I aspire to inspire my team of women and empower them to undertake further roles for the overall development of the women, society, education and the extended economy”. The Feigenbaum Leadership Excellence Award established in honor of Dr. Armand Val Feigenbaum, known as the “Father of Total Quality Control” is dedicated to honor men and women in the Arab World for their exemplary leadership in driving their organizations to fulfill their role in business and society, for their uncompromising style to instigate a quality approach and culture to work and for acting as role model to all. The Award comprises four Leadership categories: Exceptional Leaders, Accomplished Leaders, Women Leaders and Rising Stars. The award is administered by the Virtual Executive Club (VEC), at the Hamdan Bin Mohammed e-University in Dubai. Winners are recognized by International Gurus as exemplary Leaders, the award is represented by an engraved gold-plated medal revealing the winner category, accompanied by a certificate of recognition signed by Dr. Feigenbaum. Both serve as a way to further validate winners’ status within their respective profession, adding special emphasis to their particular achievements by recognizing the level of their success which impacts on the credibility of their organization. “I feel really honored to be in the presence of great achievers and exceptional leaders who have made remarkable and meaningful strides with a lot of confidence, determination and perseverance that have paved their way to success,” she said having received the award in the presence of celebrities, achievers and a plethora of stars from across the world. She reiterated her passion about educational activities that inspired her to start British Orchard Nursery, the only nursery chain in the Middle East with ISO: 9001-2008 Quality certification and a well-trusted centre of excellence in UAE for early years’ education with branches across Dubai, Sharjah ,Abu Dhabi and in house Government nurseries with the aim to develop children’s social and imaginative skills in a safe and secure environment. Gandhi also extended her sincere gratitude to the UAE government, colleagues and family for the constant support and cooperation that helped her achieve all the success. Ms. Vandana Gandhi is a versatile personality with varied interests in Calligraphy, Yoga, Scriptural Studies, Squash, Table Tennis etc, other than creating stimulating surroundings and interesting concepts for the young minds. A Masters in Education with distinction, she is currently perusing Doctorate of Education from University of Birmingham, U.K. Having done her schooling in Dubai, she completed her Bachelor’s degree from Mithibai College, Mumbai and thereafter took Post Graduate Diploma in International Business Administration from NMIMS University, Mumbai. One could easily accolade Vandana, for bringing in a lot of new concepts and innovation to the idea of preschool education in UAE with innovations in the well researched curriculum linked to children’s development and assessments. She Introduced and conceptualized first of its kind ‘GymJuniorz’, a child’s Gym and Fitness center, to be incorporated within the curriculum. She also introduced the idea of Preschool Corporate Franchising for Road Transport Agency (Government of UAE) and Dubai Water and Electricity Authority, to successfully run and operate a work place nursery for children of their women employees. She enjoys traveling and experiencing different cultures and is committed to make a difference in the society by ensuring that the children at her nursery grow as competent and confident learners. British Orchard Nursery is the only nursery chain in the Middle East to be ISO: 9001-2008 Quality certified. 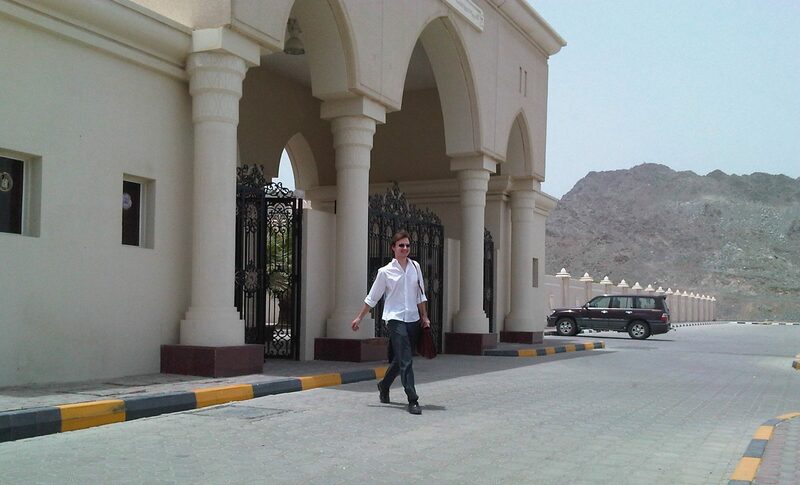 Over the years it has become a well-trusted centre of excellence in UAE for early years’ education. It follows British National Early Years Curriculum, with the addition of structure and progression, whilst still adhering to OFSTED (The British regulatory body) guidelines. With 14 branches across Dubai, Sharjah and Abu Dhabi, housing ‘GymJuniorz’, makes them UAE’s first nursery to have a children’s gym and fitness centre. The Nursery facilities include comprehensive creative spaces that offers role play to develop children’s social and imaginative skills; soft play; swimming pools; construction area where children recreate real life events and situations; a library, a water play area where they can develop understanding of challenging concepts in a ‘hands on capacity’; sand area to explore scientific and mathematical concepts; messy play or painting area to develop creativity; grass area etc. The school offers Arabic lessons, ballet, and gym lessons as well as computer classes.